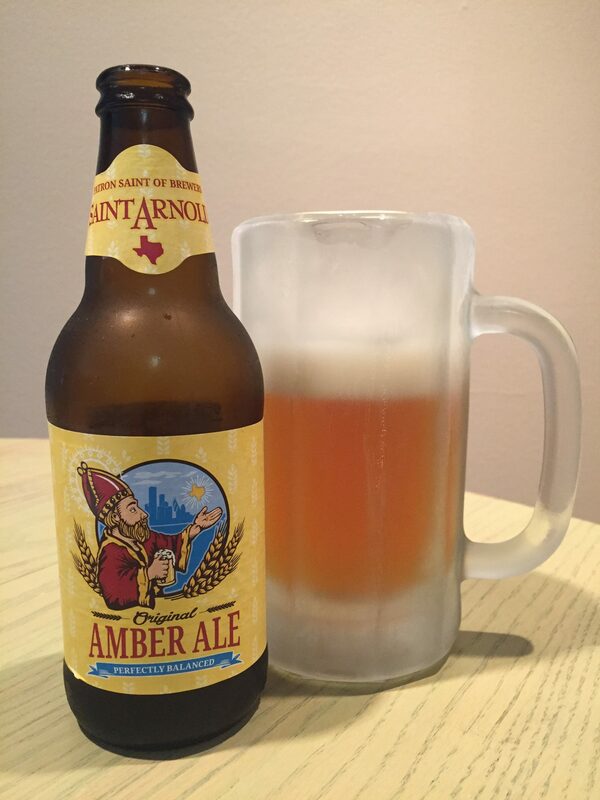 Saint Arnold Brewery’s Amber Ale is a crisp refreshing beer. It is a full-flavored ale with a pleasant caramel character that is derived from brewing with a specialty Caravienne malt. The rich body is evident when you pour the beer and it forms a nice medium head in the mug. A complex aroma of hops with hints of citrus and floral tones. These come from a combination of Cascade and Liberty hops. This Amber Ale only has an IBU rating of 32 with is really not bitter at all. The brewery recommends pairing Amber Ale with burgers, fried seafood and hearty soups. I would suggest that as refreshing as this beer is, it will also pair well with steak. Other Saint Arnold’s beers have been reviewed in other parts of this series.